Toyota Avanza 2018 Distribution Declines, Indications Will Be Replaced? Toyota Avanza is still strong despite sales decline in early 2018. Based on data from the Association of Indonesian Automotive Industries (Gaikindo), sales of 7-passenger vehicle races (Low Multi Purpose Vehicle) throughout January 2018 reached 24,664 units. Toyota Avanza is still a market leader with total sales of 7,543 units. That number fell compared to last year, Avanza distribution reached 116,311 units or an average of 9,692 units per month. In fact, Mitsubishi Xpander with total sales of 7,079 units is close to the sale of Avanza. Avanza sales rose slightly compared to December 2017 of 6,782 units. While Xpander, almost doubled compared to December 2017 amounted to 4741 units. Toyota Avanza distribution decrease raises the preparation of Toyota Astra Motor preparing a successor. Many speculation that Toyota Avanza Veloz Tigre as a substitute. Moreover, Avanza substitute rumors are also thrown TAM officials that this year will release a new product after introducing the Toyota Yaris. When asked for a replacement for Toyota Avanza, TAM's Vice President Director Henry Tanoto argued, "No plans for Tigre yet." The Avanza Tigre has been introduced at the GIASS exhibition in 2016. At that time, the Tigre model took the concept of an aggressive tiger. 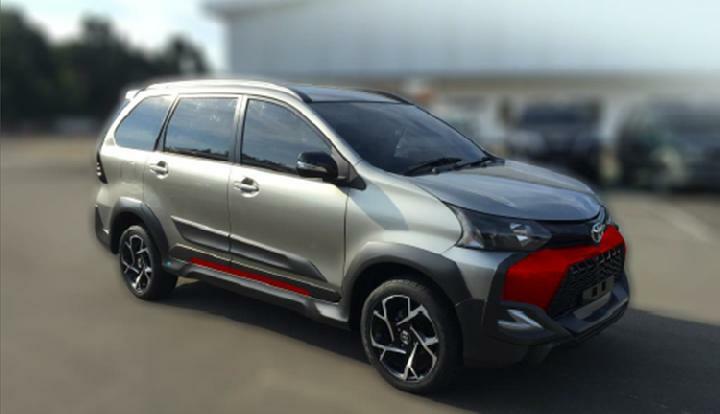 However, Toyota Executive General Manager PT Toyota Astra Motor (TAM) Fransiscus Soerjopranoto said the company still wants to explore some things related to the versatile vehicle products Avanza Tigre. One of the deepening is about the refinement of the design with the current trends. "It is still being studied, it seems there are still some things that we want to go into further," Soerjo said in Jakarta, on Wednesday, February 21, 2018. Tigre name refers to Tiger or tiger so that the display of Toyota Avanza more aggressive. Not only that, Toyota Avanza Tigre also shows a more sporty line with Crossover style. On the front bumper and side edges get a touch that implies sharp lines and steamline. The use of red also change the look so more frightening. Otosome: Toyota Avanza 2018 Distribution Declines, Indications Will Be Replaced?